China is a country of poetry. In China, the number of people who write and enjoy the couplet countless. But Two Pairs of Couplets, put in plain language, is poetry of the two pairs of couplets, need more people to enjoy in popularity. On February 6, 2015, Luo Zhihai began writing 《Bird in Silence and Mountain High》. To August 5, 2017, wrote《The Roars of Dragons and Tigers》. In two and a half years, he had written 4,026 Two Pairs Of Couplets. 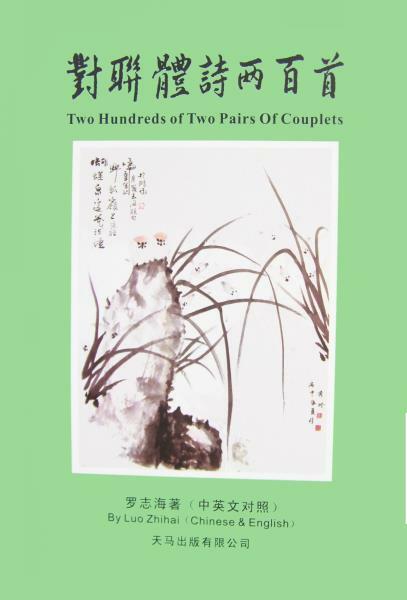 Now selected 200 of them, concentrated《Two Hundreds of Two Pairs Of Couplets》. Two Pairs Of Couplets, comes from couplets, that comes from the third and fourth, the fifth and sixth of antithesis sentences of regulated verse of Tang Dynasty, too. It’s same as quatrain, was stipulated four sentences. But the words exceed verse and quatrain. Not only five or seven words, can also be nine or ten words or more words. Its level and oblique tones, strictly according to level and oblique tones of verse and quatrain. All using ancient rhyme no modern rhyme is typeset with the original complex form of a simplified Chinese character. All using modern rhyme or ancient and modern in the same rhyme are typeset with simplified Chinese character.